The second Euro 2020 Qualifier that England will play before the Premier League returns kicks-off at 7:45pm on Monday when they take on Montenegro at Gradski Stadion in Podgorica. British Bookmakers best odds for Montenegro v England are shown below as well as a preview of the match, and the betting offers that are available for this Euro 2020 Qualifier. Check out the best odds that online bookmakers offer for a Montenegro win (H), a win for England (A), or a draw (D) below. Use the ALL ODDS tab to view more odds. NB: Montenegro v England betting odds correct at the time this match preview went live and are subject to change. Last updated: 06:11 on 25/03/2019. As well as British Bookmakers best odds, we've also listed the betting offers that you can use when betting on Monday's Euro 2020 Qualification match between Montenegro and England. Montenegro v England will be broadcast live on ITV at 7:45pm on Monday March 25th and there's also the option of live streaming the match for free online or via the ITV Hub. 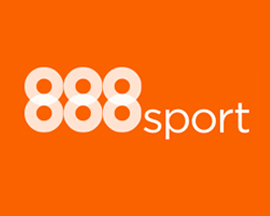 Signup as a new customer at 888sport and bet £10 on Montenegro v England and win or lose, they'll add £30 in free bets to your account (3 x £10 free bets). 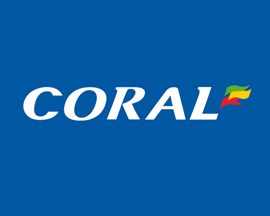 Signup as a new Coral customer and bet £5 on Montenegro v England and win or lose, they'll credit your account with four £5 free bets giving you 4 chances to win! 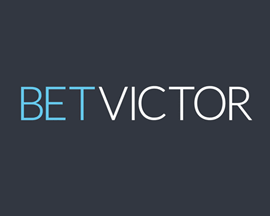 Signup at Bet Victor today and bet £5 on Montenegro v England and win or lose, they'll credit your account with two £10 free bets and a £10 casino bonus! 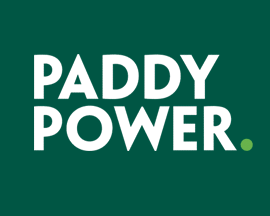 Signup with PaddyPower today and bet £20 on Montenegro v England and if you don't win your bet, they'll refund your original £20 stake - in cash! 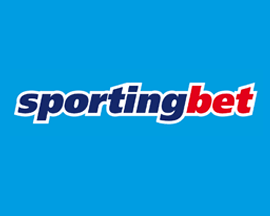 Register as a new customer at SportingBet and bet £10 on Montenegro v England and if you don't win, they'll credit your account with a free bet worth £10. 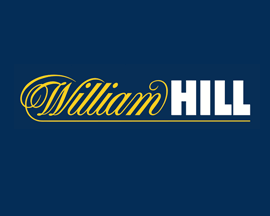 Signup as a new customer at William Hill and bet £10 on Montenegro v England and win or lose, they'll credit your account with £30 in free bets (3 x £10 free bets). Following their 5-0 win over the Czech Republic on Friday night, England travel to Podgorica on Monday to face Montenegro in the 2nd of their Euro 2020 qualifying campaign fixtures. As expected, bookmakers offer England as the red-hot favourites to win this one, and it’s no surprise that England are also one of the top contenders win their Euro 2020 qualifying group. Bookmakers are offering some great Euro 2020 betting offers on both of England’s opening fixtures, and as the top ranked nation in Group A, the nation expects big things from them. England and Montenegro have only ever played each other 4 times, with 3 of these fixtures ending in draws, while England secured a 4-1 victory the last time they met back in 2013. Gareth Southgate’s men may be the favourites to win this match at most British Bookmakers, but Montenegro have been consistently improving over the past few years, and England shouldn't take a victory for granted against Ljubiša Tumbaković’s side on Monday night. In the lead up to Montenegro v England, we've taken a look at both side’s recent matches, and any players that may be missing and effect each managers preparations for the game. Montenegro come in to their match against England at Gradski Stadion in Podgorica after a 1-1 draw Bulgaria on Friday evening in their first qualifying match of Euro 2020. Montenegro are pretty new to the International football arena, and while they don’t have the raft of experience that England have, they’ve steadily moved up the FIFA rankings to 46th place. Tumbaković has a pretty talented squad, with players such as Stefan Savic who plays for Atletico Madrid in the line up, and Montenegro could well be the surprise side of Group A. In saying that, Montenegro have only managed to win 2 of their last 6 fixtures, losing to Romania and Serbia in their last 2 Nations League matches in November last year. While Montenegro will probably struggle to beat England, the other Group A teams could prove easier challenges and give them a much better chance of advancing in the competition. Gareth Southgate has re-invigorated the English side, and the result is a squad of players that are playing much better than we have seen them play in a very long time. The English side come into the competition on the back of a massively successful World Cup campaign, and if bookmakers odds are anything to go by, should easily top Group A. In theory, Southgate’s opening match against the Czech Republic saw them meet their toughest opponents of the group, with Bulgaria and Kosovo still to come. England shouldn’t have any problems on Monday, but there’s always one team that can cause an upset, and an increasingly improving Montenegro side could just be the side that does. Unfortunately Southgate is set to be without quite a few key players, including Trent Alaxander-Arnold who has also been ruled out following a back injury he sustained against Burnley. Jesse Lingard, Harry Winks, Joe Gomez, Fabian Delph, John Stones, Ruben Loftus-Cheek and Luke Shaw are also doubtful which could leave Southgate with a much weaker squad. Realistically, England should easily win this one and secure full points ahead of the next qualifying stages, even with some key players missing the match through injury. Montenegro and England have only played each other on 4 occasions with the Three Lions yet to lose a fixture against them after winning 1 of the matches and drawing the other 3. The first match between England and Montenegro occurred on the 12th of October in 2010 when they met in a European Championship Group G match at Wembley Stadium. A crowd of 73,451 witnessed a frustrating night for England after they drew the match 0-0. The second time they played each other was a year later for the follow up European Championship match at Podgorica City Stadium on the 7th of October 2011. The match yet again ended in a draw, this time it was 2-2 with Ashley Young and Darren Bent giving England a 2 goal lead before Elsad Zverotic and Andrija Delibasic levelled the match. The third match between these two sides was World Cup Qualifier on the 26th of March back in 2013 when England yet again travelled to Podgorica City Stadium to draw a match. This time the game ended 1-1 with England once again taking the lead, on this occasion Wayne Rooney scored in the 6th minute only for Dejan Damjanovic to equalise in the 77th minute. The most recent match between England and Montenegro was the follow up World Cup Qualifier that took place at Wembley Stadium on the 11th of October in 2013. The match ended 4-1 to England with the Three Lions finally winning a tie thanks to an own goal by Branko Boskovic and goals from Wayne Rooney, Andros Townsend and Daniel Sturridge. Looking at the last 5 fixtures that Montenegro have played in all competitions, they've won 1, drawn 1, and lost 3 scoring a total of 6 goals (1.2 goals per game) and conceding 7 goals. England record over their last 5 matches in all competitions is won 4, drawn 1 and lost 0. They've scored more than Montenegro, 13 in total (2.6 goals per game) and conceded less (3).